PUBG Event Pass System Revealed | Nerd Much? Yesterday we got details from Psyonix regarding their upcoming Rocket League Rocket Pass system. Today, another game follows suit as the next mimic of Fortnite‘s Battle Pass system with the introduction of the PUBG Event Pass. PUBG Corp. states that they’ll “reveal all the details very soon” on their Event Pass program. So the majority of the information we received from the developer today is at surface level. You’ll earn rewards through Event Pass whether you pay for the premium version of the system or not. However, if you haven’t paid for the premium version, the rewards you earn will be temporarily unlocked. Missions will be included within the system too that you can participate in whether you pay for the premium Event Pass or opt to stick with the free version. 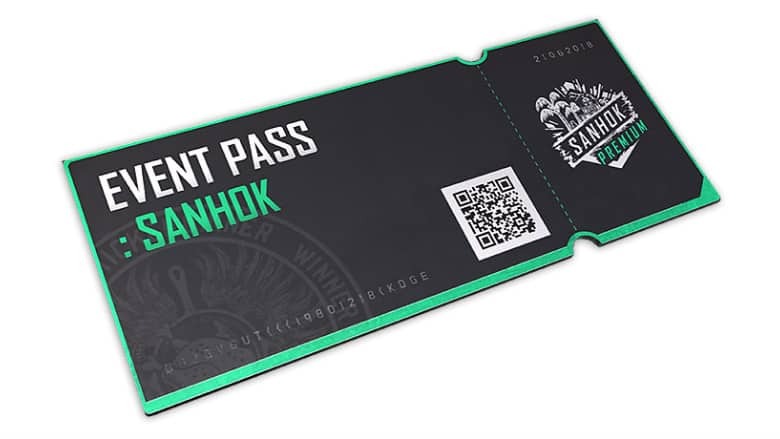 The first iteration of the Event Pass will revolve around the upcoming Sanhok map. So expect items that match the new location in theme. The first PUBG Event Pass will last for about 4 weeks. The developers say it will sport “dozens of missions, including daily missions, weekly missions, and Sanhok-specific missions.” As you complete missions, you level up. As you level up, you’ll unlock exclusive rewards that you can’t trade and will only belong to you. Sound familiar? The Event Pass reveal and introduction is timed to coincide with the official launch of PUBG’s new map, Sanhok. The new map and the Event Pass system go live for PC players on June 22nd. The Sanhok map is expected to debut on Xbox One later this summer. The map features a an exotic jungle locale with a total square footage that is about a quarter of the size of the game’s other maps, Erangel and Miramar. It should make for a much more intimate and frenetic game. PUBG Corp. also announced some impressive stats for the game recently. PUBG has sold over 50 million copies since its launch with 400 million total players giving the game a whirl at some point. The game is also currently on sale for PC listing at $19.99. If PUBG Corp. can get a fraction of those 50 million PUBG owners to take pass in their premium Event Pass, they’ll be doing pretty, pretty well.